The ocean is vast and mysterious, so maybe you’ve never met the king of the seas. His name is Arthur Curry, and while he’s not the most accessible guy he’s not exactly anonymous. 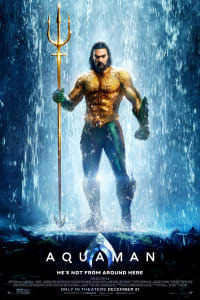 As played by Jason Momoa in Justice League, and the upcoming Aquaman solo film from James Wan, he’s an impossible-to-overlook figure with the swagger of a champion fighter, and the hair and tattoos of a rock star. Justice League didn’t tell us much about who Momoa’s character actually is, however. Strictly speaking, the Arthur Curry we know isn’t even the first Aquaman. The character was created by Paul Norris and Mort Weisinger in 1941, and there have been more versions of the guy than there are seas on the globe. The current Curry has ended up as the last man swimming, and the defining Aquaman. Here’s everything you need to know about Arthur Curry – on the page and on screen – before Jason Momoa picks up his trident for the December 21 release of Aquaman. Atlanna dies when Arthur is a boy, but not before revealing her true nature. She also tells Arthur that he has inherited some pretty special physical gifts from her. Ultimately his birthright also gives him claim to the throne of Atlantis, but that’s not easily taken. Thomas helps train Arthur to use the gifts of his Atlantean heritage after Atlanna’s death. As a man with one foot on land and one in the sea, he’s never really a part of either environment, which gives him the personality of a loner and outsider. 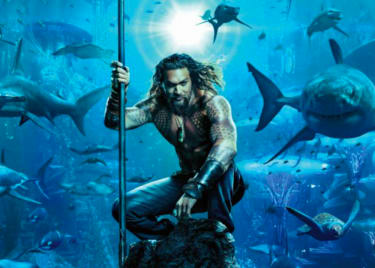 He’s not accepted as King of Atlantis – at least not without a fight. And as Arthur’s physique can resist the incredible pressure of the ocean, he’s also far stronger than most people on land, to the point of being superhuman. He’s got incredible senses and skin like armor – and the genetic code passed from his human father makes him able to traverse land like any human. Perhaps most importantly, the care given to him by his parents, and training from his father, helped mold Arthur into a guy who takes care of those in need, and who uses his status as the King of the Seven Seas, whether or not he actually wears the crown of Atlantis, as a positive force in the world. All that being said, the movie version of Curry is a little bit different. In part, that’s because as with any other comic character, things are combined and rewritten in the journey to the big screen. And some of that has to do with where Aquaman is in his life when we see him on screen. 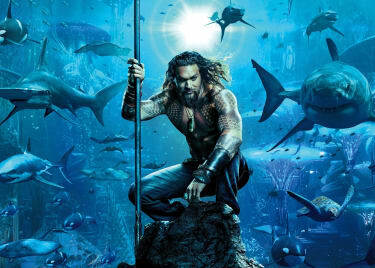 In various interviews, Momoa has cautioned that some of what we know about the character in the comics is still to come on film. Justice League was only a weekend in Arthur Curry’s life. This is a totally different beast. 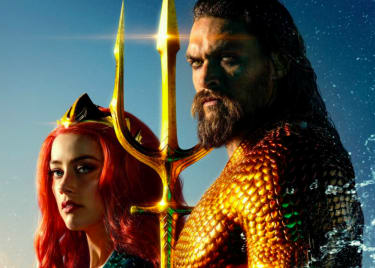 In Aquaman, you see when his parents met and what happened to them. Then the little boy being raised and finding his powers and going through that and never being accepted on either side. And then becoming this man who puts up all these walls. You just slowly see this man harden up and be completely reluctant wanting to be king and not knowing what to do with these powers he has. We’ll get a long look into Arthur Curry’s onscreen empire when James Wan’s Aquaman arrives on land on December 21, 2018.